All companies that play on the portable audio market can be divided into two groups. The first – the leading brands with a long history that has been producing radio in the days of youth of our grandparents. These manufacturers can boast a number of successful models, which for a long time in good demand, despite the fact that for the time of their existence headband construction will remain virtually unchanged. The company Skullcandy stuck somewhere between the two groups. On the one hand, the American company has managed in a short time a firm foothold in the market, on the other hand, their ambitions do not find unanimous support among audiophiles. Fans of the “right” sound remain conservative and slow to trust their ears motley fun from Skullcandy. In one of the online communities, where he actively being discussed portable audio, came across a very emotional replica of one music lover to praise the brand: “Yes since when was the Skullcandy headphones make good ? !” And the cause is excessive pretentiousness brand desire certainly seem original and quickly succeed. President of the company in an interview said: “We certainly strive to be number one.” Commendable. But the reputation of a quality product for audiomanov must be earned, it is not possible to get in a few years. But initially the executive director and founder of Skullcandy Richard Alden (Richard P. Alden) and did not think that would achieve such rapid success in business. His company is cautiously beginning with the fact that in 2003 demonstrated patented technology Skullcandy Portable Link. 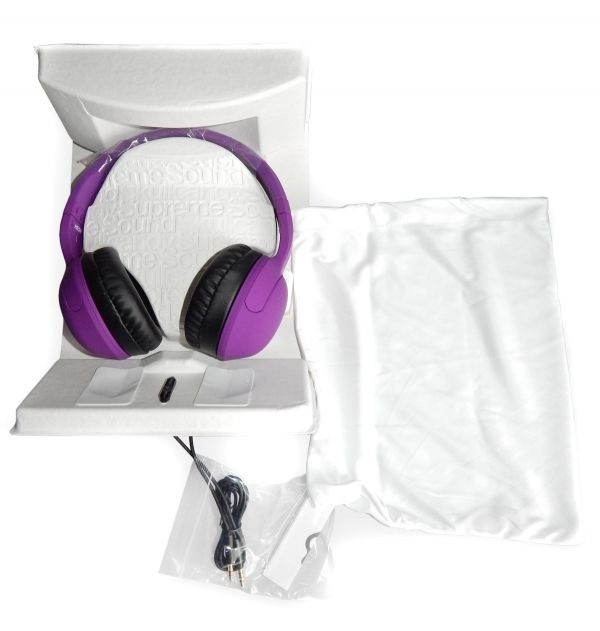 Novelty is a normal headphones, all the advantages of which is to ensure that they were provided with a unique adapter that allows you to connect the device to a cellular phone, and music player. In addition, the headphones were integrated into the cable remote control with microphone. This control allows you to adjust the sound of MP3-player, and also contained the button to answer an incoming call. By and large it’s not so hot invention – today these things would not cause any excitement among buyers. But it was in 2003, the time for such news was very successful. When normal headsets have not been, and smartphones still very few people perceived as an alternative to a portable player, the device looks very impressive, and start Skullcandy was successful. Business Alden led a very skillfully, money poured in, and at some point, the success of leadership has turned his head. The loud slogan of “Join audiorevolyutsii” followed by unsubstantiated claims. What was the “audiorevolyutsiya” – nobody knows: most likely, it did not exist. 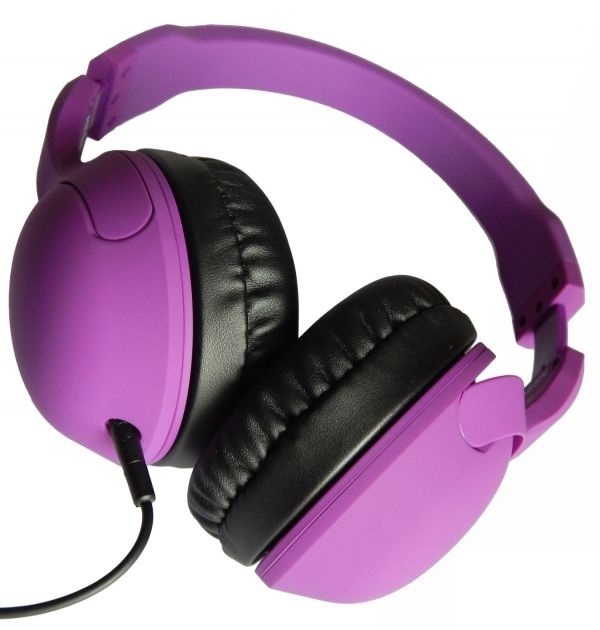 Skullcandy headphones models produced only in some cases could be interested in demanding audiophiles. 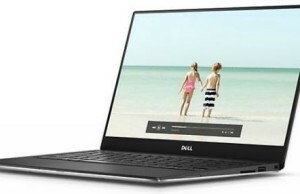 Although, of course, the manufacturer stated the opposite, presenting the release of each new model as a great achievement. In memory pops Skullcandy presentation at CES 2013, which was represented by line Crusher, which was announced as an extraordinary event. In fact, it turned out that this – type headphones basshead with built-in amplifier, a pair of radiators in each cup and a failure midrange. A special form of the woofer transmits additional vibration, but who are now surprised by this? In alone gaming headsets full of similar solutions, and at the time of presentation Skullcandy was not the first company to come up with a use artificial subwoofer headphones. Skullcandy philosophy for a long time was to ensure that life in general, and music in particular, should not be taken too seriously.Children’s logo in the form of candy skull (applied wherever possible: on the headband, plug and even silicone inserts for-channel models), the abundance of glossy plastic and affordable price – these are the components of success of the American brand. 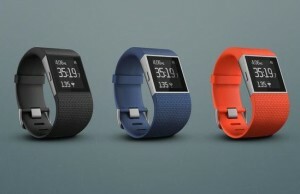 More sporty design, less pathos and off audiophiles! But as time passed, and it turned out that on the same budget segment with headphones “boom-boom” does not go far. Become a “number one” only through marketing alliances with athletes and release exclusive models is simply impossible. Thanks to the skillful management of the company’s business Skullcandy managed to earn hundreds of millions of dollars, to rise in the rankings, but to become synonymous with “quality of sound” in the brand did not work. Therefore, gradually became Skullcandy revise approach to the production of headphones and sound quality, and strive in every way to improve the manufactured product. Not to start from scratch, the company became the perfect ready-made models. Today we face budget headphones Skullcandy Hesh second generation . Need a good search to find the package at least some mention of the new lineup: on the front side is written Skullcandy Supreme Sound Hesh – and only. But on the back side of the box is a small paragraph of advertising content, which reported on “the delightful sound of the second generation Hesh». In one of the articles in Forbes magazine, Richard Alden shared the secret of the success of their business. In an article about the company Skullcandy can be read as follows: “The founder of the company is well aware of users of the product Skullcandy. And because he understands what goods would like to purchase one of them. Target audience – a youth aged 12 to 26 years. They know a lot about fashion and love music. They lead an active lifestyle and love sports … In all countries, there are children who have headphones Skullcandy ». Not very modest, but basically all true. Every teenager wants to be “like everyone else” and wants to emphasize his view their outlook on life, your position. 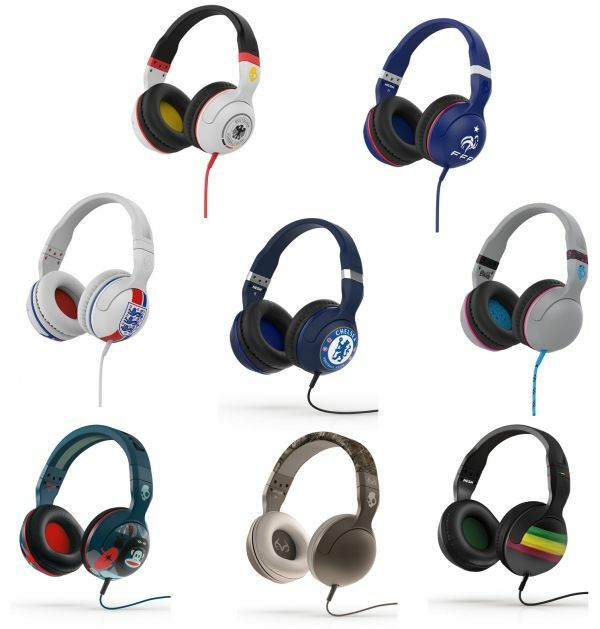 On this desire and played American brand, offering colorful collection of headphones. Each line produced Skullcandy has dozens of design options, and many of them are made ​​specifically for young fans, and for fans of famous athletes. For some models, such as Aviator, manufacturer even offers its customers to choose the color design elements of the model. Skullcandy Hesh Series 2 has not departed from tradition variegated design, and an assortment of this line can also find a huge number of design options. Probably, from the point of view of the consumer favorite team logo on the cup headphones – it’s great. But do not forget that “cosmetic” change in the model leads to an inadequate increase the cost of the headphones. If you see a price list for all second generation headphones Skullcandy Hesh, you can see that the overpayment in just one logo or an alternative design can be up to twenty dollars or more. It is unlikely that such a price Skullcandy cost an additional application of paint on the body. This is the strategy – headphones are purchased not only for its functions and dignity, but as an accessory. It would be strange if the products did not differ from Skullcandy headphones other manufacturers appearance, because the company has repeatedly received the award in the field of design. Those who came up with the packaging Skullcandy Hesh 2, should be commended – a simple inexpensive model looks quite presentable. With the move is difficult to grasp some features – like an ordinary box. But this “common box” does not seem trite. At first glance, everything is as usual – plastic window and the product itself. Minimum paints – even Skullcandy logo is not very conspicuous. But a transparent window in a cardboard box a little thicker than usual plastic blister and neat storage seems a little clearer. At a certain angle, it generally becomes “invisible”. Stand on which the model is fixed Skullcandy Hesh 2, made of cardboard. This packing detail is embossed in the form of a mosaic of repetitive manufacturer’s name and the slogan of the new line – Supreme Sound. Due to this relief accidentally thrown willy-nilly look stops on earphones. Trifle, of course, but no details of whether the impression is made on this product? We often’ve encountered a situation where the headphones – even before getting into our hands – in the package purchased tiny abrasions. None of the owners will not notice them – they are very small. But when it comes to pictures of new headphones for the review, in a close-even very faint scratches and scuff very easily visible. In the case of Skullcandy us a pleasant surprise – the manufacturer has made every effort to no scuffs during transport has not appeared. In places where the cups rest on the cardboard, Skullcandy set smooth rubber stickers. Another weak point – headband. That it also showed signs of careless storage, before packing it wrapped with plastic wrap. To be honest, we were pleasantly surprised so much foresight producer. Do not wait for a budget model rich set. There are headphones – that’s good. It is fair to say that Skullcandy has invested in a box not only headphones. Amongst the Hesh and connection cable with microphone in the box also includes a soft pouch for storing the model. Cover for transportation headphones – not uncommon, but to see it in a budget option very nice. Although there are big doubts about the wisdom of such a gift. It is unclear who will use this item for its intended purpose – model Skullcandy Hesh 2 does not have a folding mechanism and the size of her large sum. Therefore, in the bag headphones will not look very compact. And who will hide the logo of his favorite football team? Model Skullcandy Hesh 2 – a classic closed headphones. Cups with right and left speakers have a hemispherical shape. Not to say that they are great, but the view they have some kind of bulky. Because of the spherical design cups headphones somewhat ironic look on his head – in the mirror like a “Teletubbies”. But this is a subjective opinion, so to speak, a matter of personal preference. Basically build quality, although some claim can still be present. For example, a jack cable uncertainly keeps contact. When we first connected the cable, the sound never heard. Had a considerable effort dozhimat connector by sliding it into the cup, until a sound. It seems that the reason for the connector is not very high quality. Not observed and secure the plug – again a problem in this element. It is hoped that it was an accident and the other model variants Skullcandy Hesh 2 this is no problem. The basic material from which made headphones, – ABS-plastic. Thanks to its use of the headphones are very light – only 180 grams.Visually, it seems that the plastic – the only material for the housing. But this assumption is wrong. In fact, the design Skullcandy Hesh 2 keeps secret hidden inside the headband another reinforcing element – a thin steel arc. This item can only be found in the updated version of headphones in the first edition Hesh headband was only plastic. Skullcandy Hesh 2 does not have a high pressure on the ears. In addition, as time has shown, the headband has a memory effect. After a few weeks of use, there was a sense that the model has become even easier to sit, with a smaller clamp. Cups are regulated very slightly. They have only one degree of freedom, and their center of mass is displaced in such a way that they press on the head more strongly in the upper half. Because of this creates a slight discomfort, which will be even more noticeable if you wear glasses – they put pressure on the tips of the frame. And while you get used to this lack fairly quickly, but still, when you remove the headphones after several hours of listening, there is a sense of relief. The size of the headband is big enough. Design Headphone says that they are targeted primarily at teenagers, but the size of the reserve, founded by designers Skullcandy, and will fit perfectly respectable adult uncle or aunt powerful. In general, the design allows you to wear model Skullcandy Hesh 2 sufficiently large head – you can even over a woolen cap. The headband is made of rubberized material – probably affects the company’s founder to love snowboarding and skiing in general. For everyday use plastic construction would be unreliable – so it is covered with a protective material. The central part of the arc is well protected by a soft coating, which, of course, also written by Skullcandy. 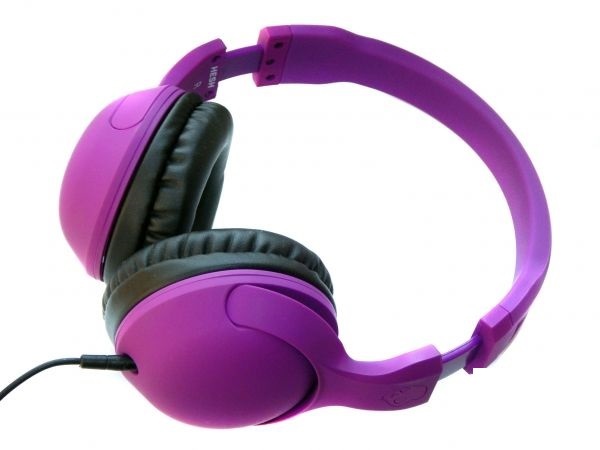 Variations on this model Skullcandy Hesh 2.0 Athletic Purple rubberized parts headphones and plastic made in one color, so that the availability of protection is not visually discern – rubber parts in harmony with the other details of construction. Because of the arc slightly springy rubber – probably in some situations, it can actually save a model from accidental damage plastic. The rubberized surface is very smooth, so easy adjustment of the size of the headband designers were forced to come up with a comfortable ergonomic design. Small cavities over the extension piece seem decorative detail. But if you try to adjust the headband headphones under my head, it becomes clear that this projection is made specifically to keep it forefinger with decreasing size. Full-size headphones, they embrace the ear completely. In this Skullcandy Hesh 2 is not very good “breathe”. Like and soft ear pads (synthetic leather), long and inconvenient memory effect, they do not have, but if long shoot head Skullcandy Hesh 2 ears under the cups cool heated. Thus, the “sport” in this model is rather conditional – summer in these headphones not run around the stadium. But at a ski resort they will be very much welcome. Ear cushions sit on the plates is free, due to their round shape can be rotated. They are dressed in the cup slightly asymmetrical, slightly inclined towards the headband so little twist ear pads someone can provide a successful landing on the head headphones. Tissue that covers the body inside the embouchure cup, adheres loosely, but I think by design. For this price the possibility of using a cable that is compatible with modern smartphones – this is a very big plus. This is easy to check by looking at the range of modern headphones. Virtually every major manufacturer tries to produce almost similar models of two kinds: headphones with classical conductor, as well as an option to set the cable microphone and remote control for quick response to the call.In this case, such a change could cost the optional user to a few tens of dollars (unless of course the advanced user would guess to buy a model with a simple plug and cable separately – wire to control in some inexpensive Chinese Market electronics). Headphones may eventually somewhere to go, break or lose its appearance, and the plug wire can be moved to a different model and use it for other purposes. On the other hand, if the wire fractures somewhere in the middle or worn out near the plug, cable replacement will be a new thing ten seconds. Microphone mounted on a connected cable, does not possess outstanding options. This budget item that is present “for show”.Interlocutor rasslyshit you, but try to talk at the moment to hold the microphone closer – in a noisy place your vote may be difficult. But the design of buttons for quick response made quite original and practical. Unlike other headphones manufacturers, which call button often done as a separate element, Skullcandy headphones used flat panel, and a button selects the entire surface of one of its sides. Thus, to take a call, you simply are not looking to take in hand the element and squeeze your fingers. Not very pleased with the lack of fixing cambric on the edges of the part – without depreciation wire can grind, although this is unlikely to happen very quickly. Both connectors have a straight shape. They are very compact, so much as it is possible, the insulation on each plug is only slightly thicker than the metal part. One plug – three-to connect to the cup, the other – uses a four, for a smartphone. Confuse the cable ends can not be – it is clear that the microphone should be closer to the cup. Besides “for blondes” has prompted a Skullcandy logo on each plug: If the cable is reversed skull. Skullcandy Hesh Headphones second generation have been mixed, which, in general, one might expect. The manufacturer did not disappoint – the second version of the headphones are very good indeed installed emitters. They do not mix sounds illegible mess and very careful in terms of distortion. High frequencies are good, middle sags slightly audible range, but it is not important. “So what’s the deal?” – You ask. The problem with this model is that the bass are raised very much – so much so that the brightness of the sound is lost completely.Potential drivers that would have to give the Supreme Sound, is not disclosed – and this is very sad, because if Skullcandy engineers have made to the structure of cups a couple of other changes, Hesh headphones could compete with much more expensive models. Skullcandy love to bass tones is visible in almost all manufactured headphones and Hesh 2 is no exception. The new model is made mainly for lovers of low frequencies. No frequencies are not “eat”, but their weighting is poor. All the shortcomings of sound, which you can imagine a closed headphone design, the model Skullcandy Hesh 2 is. Sound is clamped, the scene is passed very narrowly. Yes, Skullcandy engineers were able to make a barrier between the outside world by a massive acoustic barrier. Listening to music in this model is accompanied by a pleasant feeling of detachment from the outside world. In this case, have to put up with the peculiarities of the model, and the most unpleasant of them – a narrow music scene. If the song does not have a strong shock, Skullcandy Hesh 2 can capture the audience. Otherwise, he will find that the closed headphone design emphasizes unnatural sound in an enclosed space “cans.” If you close your eyes to the obsession bass, melody reproduced in some detail – the dynamics still good: it is what it is. But the feeling of being in the moment of listening does not occur. The sound becomes more flat, volume somewhere disappears, as if you were sitting in a small, furnished room in front of the classical two-channel stereo. The predominance of bass also prevents perceive positioning tools. Just start listening to a song and like to enjoy it even detailing how to connect the drums – and in a place where they are particularly strong, there is an unnatural voice. To combat it or not – it’s the listener.During testing on separate tracks bass just rolls over, and headphones on medium literally forced ear tremble . Therefore, we have suppressed the lower range with the equalizer – and hurray: the sound became more even, you could hear the little nuances and enjoy your favorite music. Headphones perfectly reproduce the contemporary music. For example, listening to the last studio album Listen famous DJ David Guetta, generally stop noticing “bass” shortcomings Skullcandy Hesh 2. The musical material fit perfectly into this model, fully demonstrating the worth of headphones. Classic Rock is also very nice to listen to, but with a frequency correction. For example, Bee Gees and their later album This Is Where I Came In causes only the most positive emotions. Conclusions about the nature of sound Skullcandy Hesh 2 confirm measurements made ​​by our colleagues from the publication Les Numériques . As seen on the chart, the frequency response at low frequencies is not just raised – in the area of ​​medium she literally falls. Even the natural resonant humps, which must in some way be present in the chart, slightly noticeable and do not align private picture. Up to one kilohertz schedule looks nice and linear. But later, as they say, “Faile epic” – curve falls and almost does not rise. It falls to a small spike at 10 kHz and then continues to “sink.” Well, harmonic distortion in this model are low, as promised manufacturer. Even at low frequencies, which usually allows higher values ​​THD, this parameter is less than one. Against the background of the above words of Dr. Tetsuro Oishi, Director of Electrical and acoustic developments Skullcandy, that «Skullcandy Hesh 2 – one of the best headphones in the segment up to $ 400,” can be considered normal advertising praise himself, which, to put it mildly, does not correspond to reality. But the slogan “Loud like no other”, which can be seen in the official store, more in line with reality. As can be seen, good dynamic emitters – is not a guarantee beautiful “correct” sound. Design features discussed headphones Skullcandy Hesh 2 in many cases negate the dignity of the drivers used with a low threshold of harmonic distortion. Without equalizer or some other filter overwhelming bass, listening to headphones “as is” can not all. It is extremely difficult to find any genre, wherever they coped with confidence and do not let the rooster at low frequencies. Although, of course, the correction of the frequency greatly improves the sound, and then on the foreground detail of the music. On the other hand, Hesh 2 is due to the “incident” response can save the dry sound budgetary players and especially smartphones. If your mobile gadget supports lossless-formats, but it has always lacked the power and richness, Skullcandy Hesh 2 can literally give it a second life – you start to hear the details, and the rhythm of the music will be. The second generation of Skullcandy Hesh sounds much better than the previous version of the headphones. However, the recognition among fans of high-quality sound, this model still does not find – because of the imbalance of sound. You can, of course, correct picture of the equalizer, but connoisseurs of good sound rather choose some other model for a similar price, where the sound palette is represented in more smoothly and no pressure bass. However, if you enjoy powerful bass, then buying this model will not be disappointed. A variety of design options.